Hey ya'll! Hope you had a nice weekend! I want to apologize for my lack of posts on IG this weekend, they all kind of when at once and I just got behind! Saturday night I was out of town and then weather put things later and so by the time I could post it was like super late or shall I say early! Anywhooo, I am catching up over there today so! 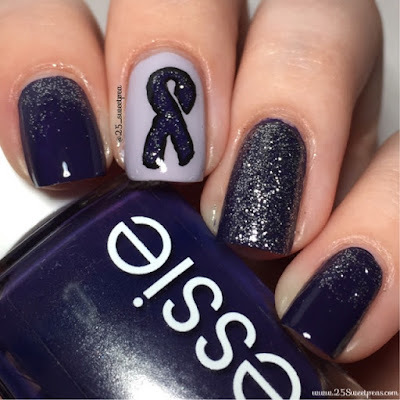 :D Today for ya I have used Twinkled T's Awareness Ribbon vinyls and created another pancreatic cancer awareness look. 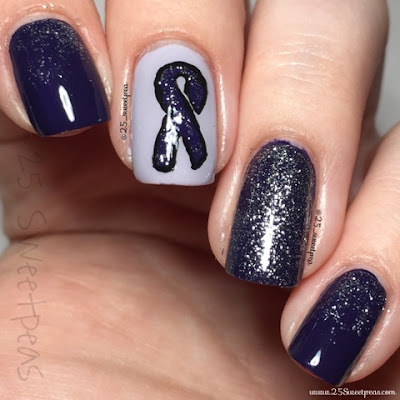 Some of you may remember I did a Free handed ribbon last week! In case you missed it, check it out here. Here is today's! So first up I will chat a bit about the vinyl. At the end of this post there will be a link to the YouTube Tutorial and you will be able to see the actual sheet of the vinyls. ;) So these vinyls were a bit harder to use for some reason. I'm not sure why really but I had some trouble with peeling it off the sheet, but it still came out ok. Also I decided to paint over the vinyl instead of sponge but I wish I had sponged the polish over the vinyl instead, I feel like my lines would of been cleaner! With vinyls I feel like there is a lot of trial and error, so this is my latest tip from my experience, always sponge on top! 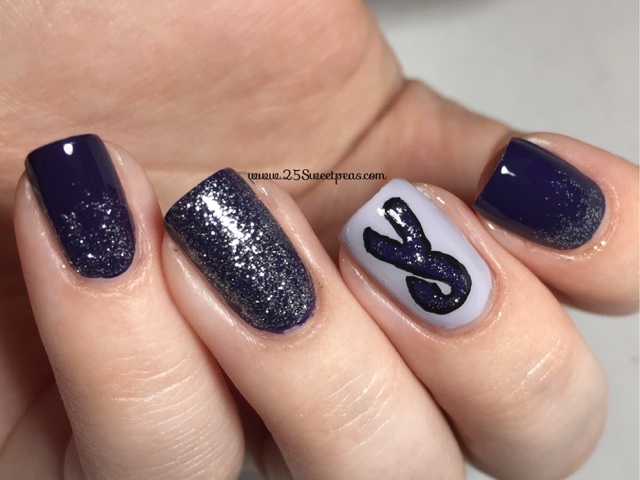 Also for some of my other tips check out my last post using vinyls here. I ended up outlining the ribbon just with black acrylic paint just to create some cleaner lines although I'm still not loving the edges. Polish wise I used Essie's No More Film which is what I am holding above. Then the lighter purple is Urban Outfitters Babe. :) The glitter is an unlabeled polish that I got with a nail dryer years and years ago! Well that is all for this post! Hope y'all enjoyed it! Also as always if you have any questions or requests just let me know!